Congratulations! 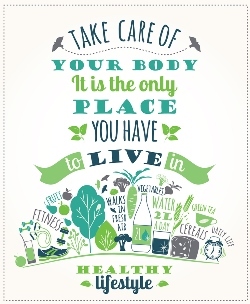 You have exercised and developed healthy nutrition habits to lose weight, and you look and feel fabulous. Now comes the hard part. How do you avoid reverting to bad habits and packing on the pounds that you lost? There are a few effective strategies which can help you maintain your new figure, and they are easy to implement, providing a lifetime of benefits. Whether your habits are good or bad, they are simply repeated patterns of behavior. And conscious actions performed frequently enough over time become unconscious and immediate. This has been proven in multiple studies, and according to Temple University professor Jo Anne White, PhD, also a life coach, you can use this to your advantage in your efforts to embracing your new healthy habits. White says that you can avoid returning to your unhealthy ways by taking conscious control of your daily life. If you have lost weight, tell yourself why you feel so good about your new figure. Then write down your big “whys” for losing the weight. Was it so you could live a longer life for your family? Was it because you did not like the way you looked? When your “why” is big enough, you will not allow yourself to slip back into old habits which deliver negative results. When you write down your positive motivation and remind yourself how great you look and feel, keep this somewhere where you can review it daily. And if you are having a tough time adhering to your health and exercise habits which have successfully lost weight, don’t beat yourself up. Malena Perdomo, RD, is a spokesperson for the American Dietetic Association, and she says that it is sometimes more difficult to maintain weight loss and fitness than it was to achieve your goals. She points to the busy, fast-paced lives people lead, and constantly changing family, work and other issues as possible monkey wrenches which can be thrown into the machinery of your healthy new habits. Verbally recognize the occasions when you slip up, and don’t be too hard on yourself. 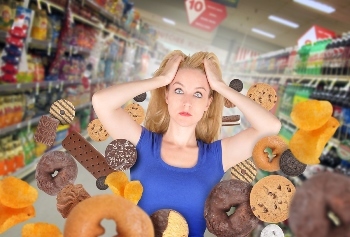 Feeling down about returning to bad health habits can lead to depression and anxiety, which can cause poor health and even more bad habits in the form of binge eating. The quickest way to revert to old bad habits is by totally depriving yourself of your favorite foods. Reward your weight loss and new figure periodically with treats and desserts that you used to eat too much of, and you will find it easier to stick to the fitness and weight loss program which got you the results you desire in the first place. And, remember this the next time you are reaching for some comfort food. Ask yourself if you are really hungry, or if you are in search of an emotional snack.